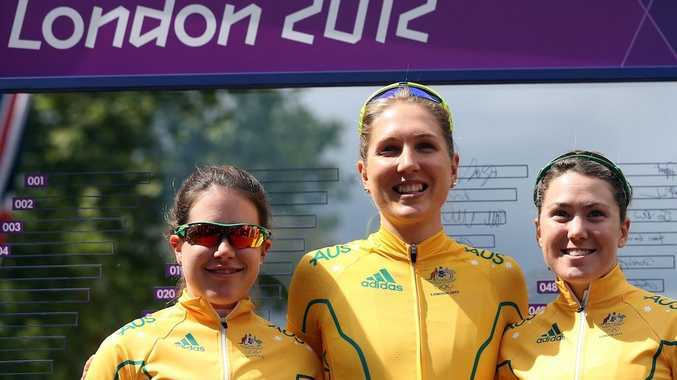 SUNSHINE Coast's Shara Gillow has finished 13th in the women's road time-trial behind defending champion Kristin Armstrong of the USA. Gillow, 24, averaged 43.051kmh in posting a time of 40min.25.03sec., for the 29km flat course, which started and finished at Hampton Park Palace. This was almost three minutes behind Armstrong's winning time of 37:34.82, set an average speed of 46.300kmh. Armstrong had a 15.47sec. margin over second-placed Judith Arndt of German, who is a teammate of Gillow in international cycling ranks. The bronze medal went to Russia's Olga Zabelinskaya, who posted a time of 37:57.35. Road race winner Marianne Vos, of the Netherlands, the third-ranked rider in the time-trial before the event, obviously felt the strain of her high-level performance in the road race. She finished in 16th place with a time of 40:40.79.